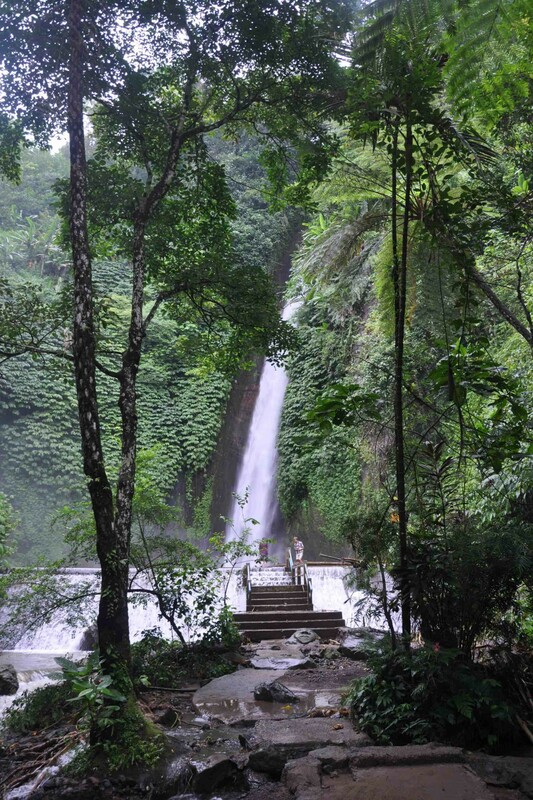 A stone path leads through the jungle towards a tall and skinny roaring waterfall. Tall trees with hanging leaves are in the middle distance and the cliffs in the background are covered in green vines. The fall pours into a rocky pool, which is accessible via steps connecting to the path in the front of the photo. The pool’s water is so overflowing that is pours down the steps in a small waterfall of its own. Tiny looking people give scale to the tall falls.